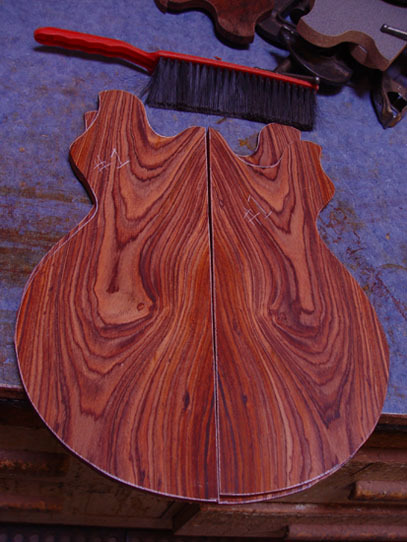 Here's the top for "Althea"
The laminates are successive slices from the same board and look super cool. I think Mica is going to need to find some more adjectives. Super cool is the understatement of the year. 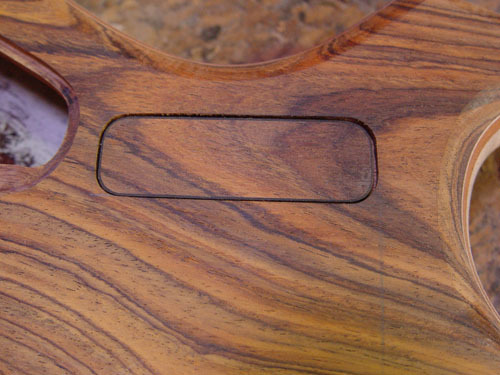 We were able to save a piece for the back veneer of the peghead, and that's super cool too. 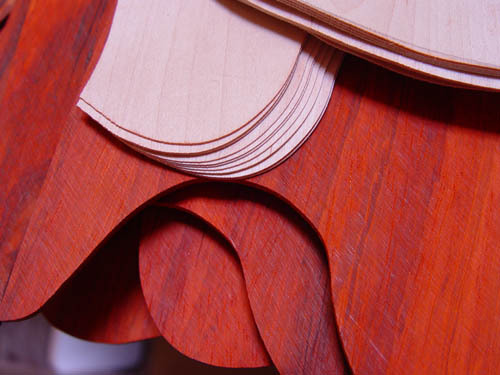 I don't know which particular pieces will be in your guitar, but I just liked the photo. Enjoy! 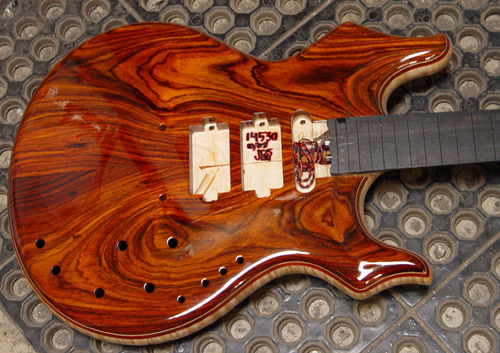 What a beautiful wood selection! I love the coloring and the patterns. W0W! Him Jim, welcome to the board and congrats on the Tribute! Lucky lucky Jim! I happen on your guitar when interesting stuff is happening. I think the ebony bindings are a great idea. 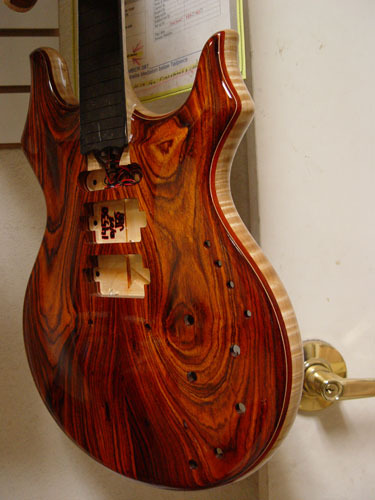 This is one of the best pieces of coco bolo I have ever seen. I am sure it sounds as good as it looks. 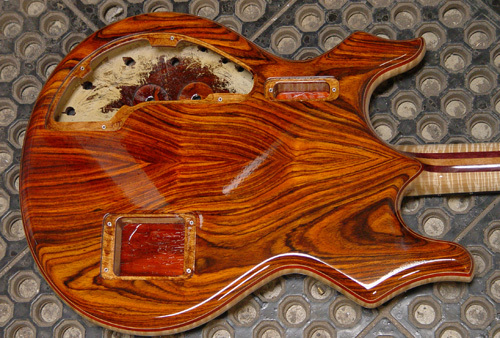 Some more finish, still looks about the same, which is to say: beautiful! 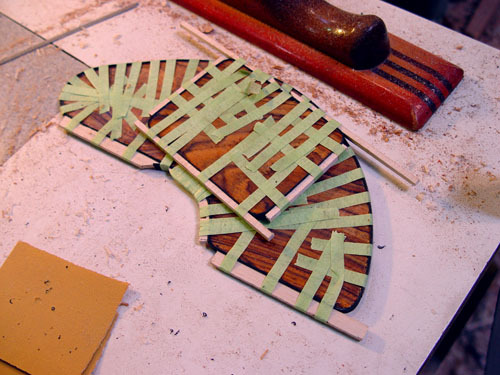 We've got to get the inlays in before much else will happen. 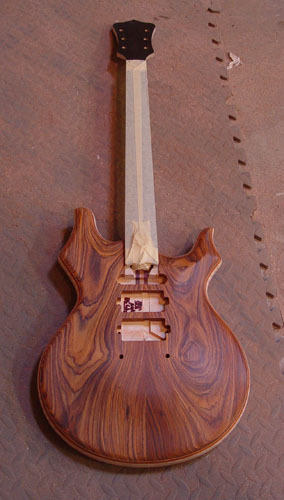 This is coming together very nicely; and yes, I love that neck! 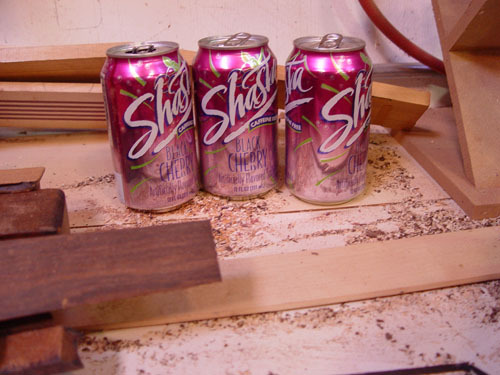 oh man, that Shasta stuff really works on those guitars. 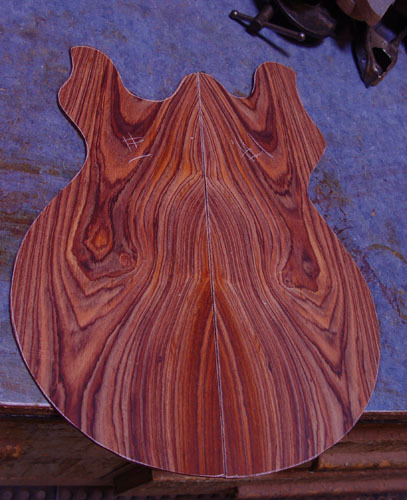 You're my very next inlay drawing. 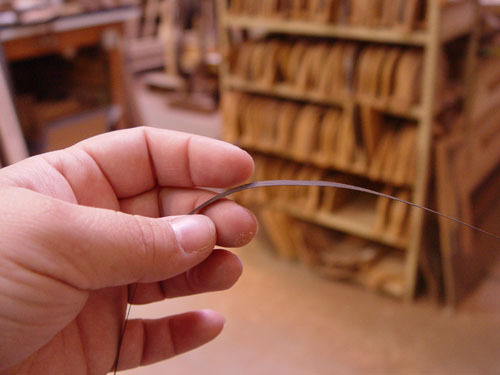 Monday is dedicated to your inlays. Should have some stuff for you to review shortly after that. This is a NICE guitar. Love the Coco-Bolo, front and rear. AWESOME! 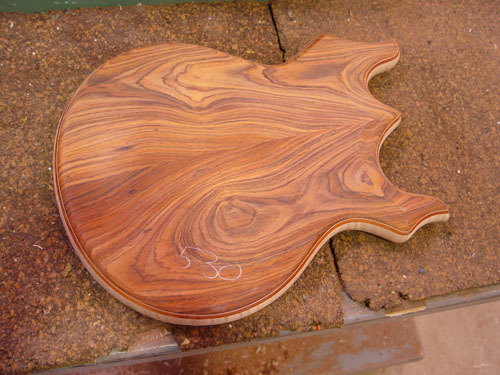 Have you started on my inlays?? jimi- That is quite a spread of land. What do you use it for? If you ever needed some deer culled don't be afraid to ask! (though i am sure you are inundated with requests anyway. 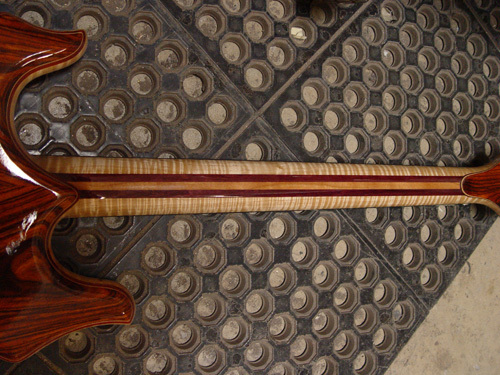 There's more to do - plus I want to reduce the size of the inlay at the third fret so it doesn't collide with the stem of the rose. I'm so happy with how this is turning out. 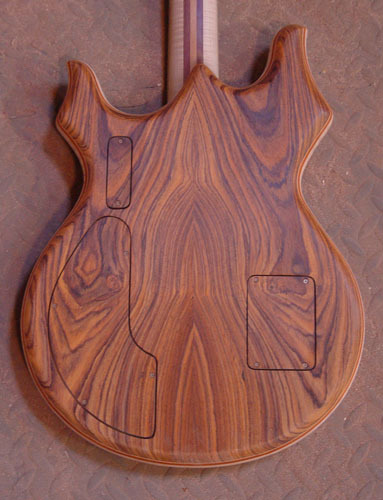 That's a very cool idea for an inlay!